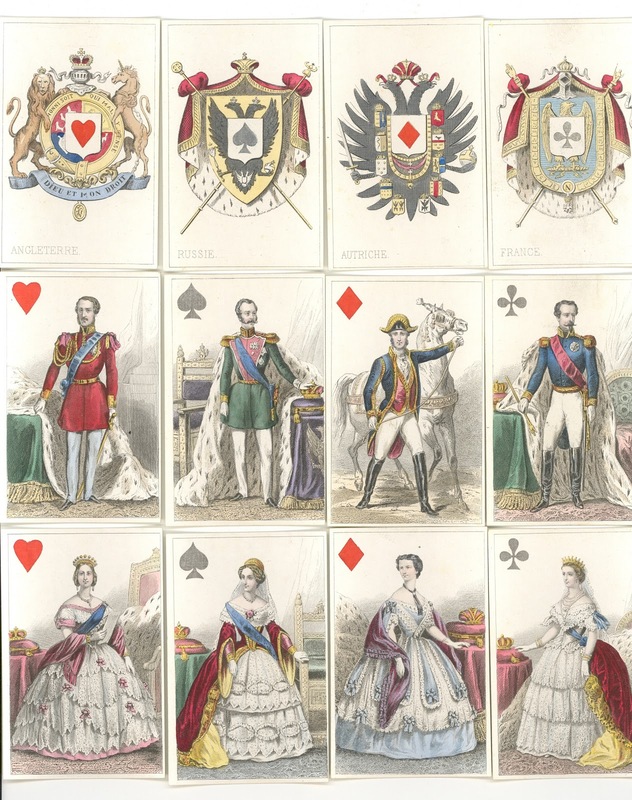 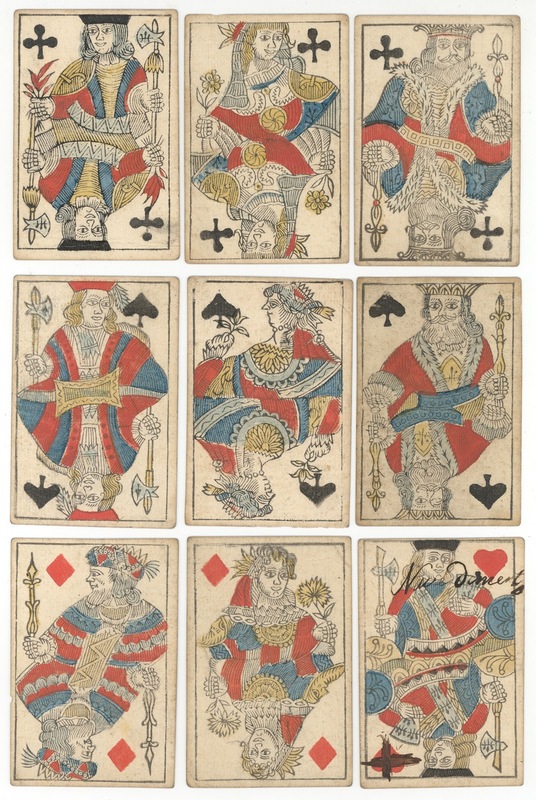 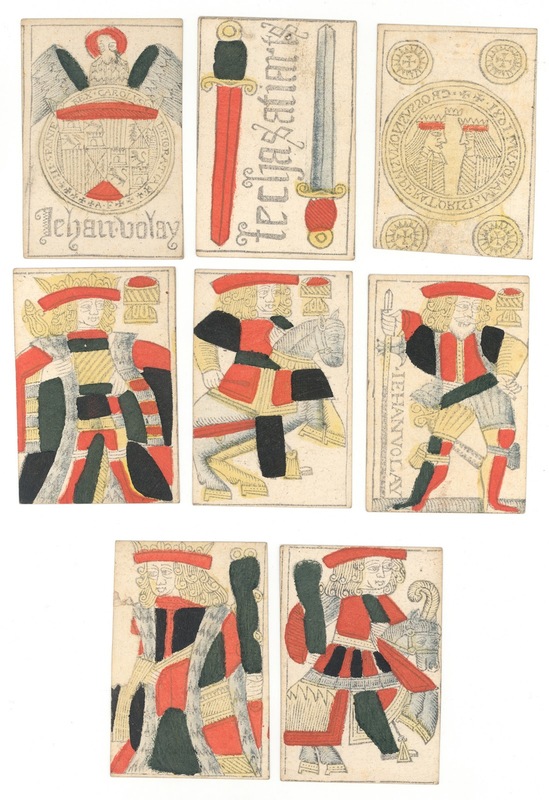 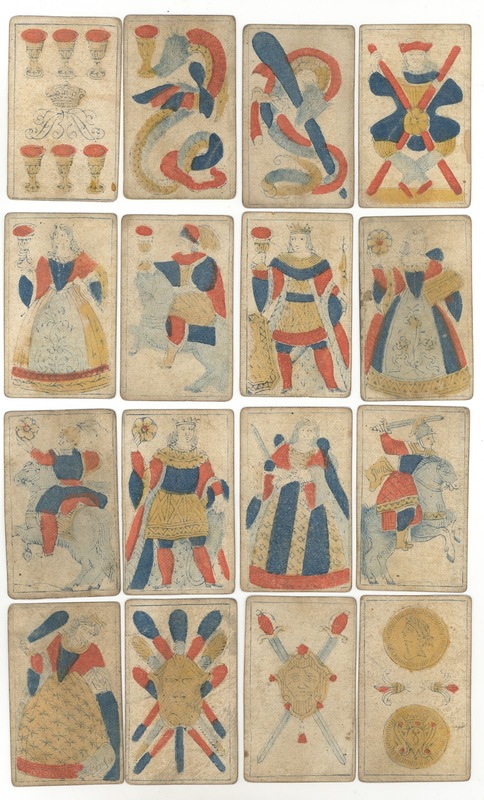 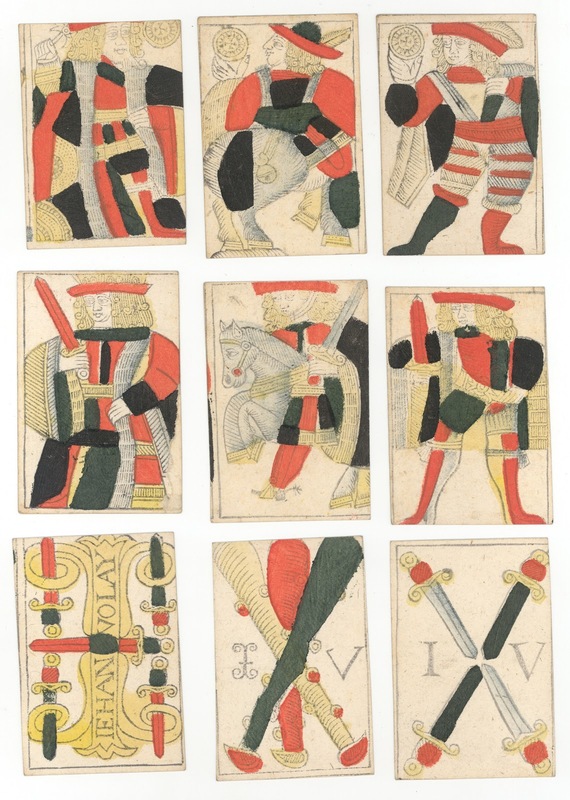 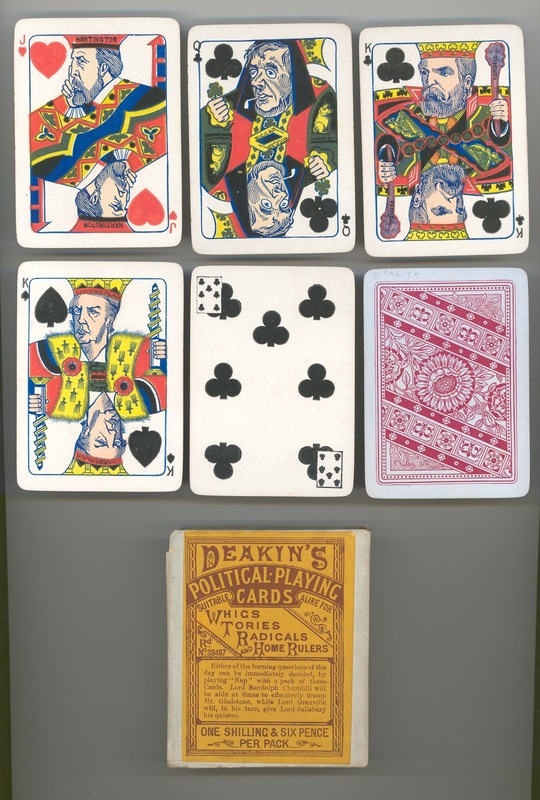 There is a very interesting collection of playing cards held at the Strangers’ Hall Museum in Norwich. 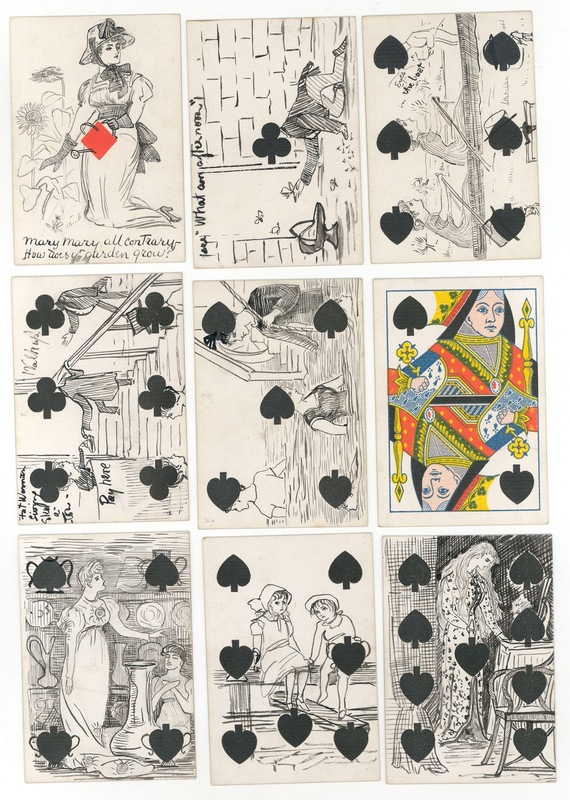 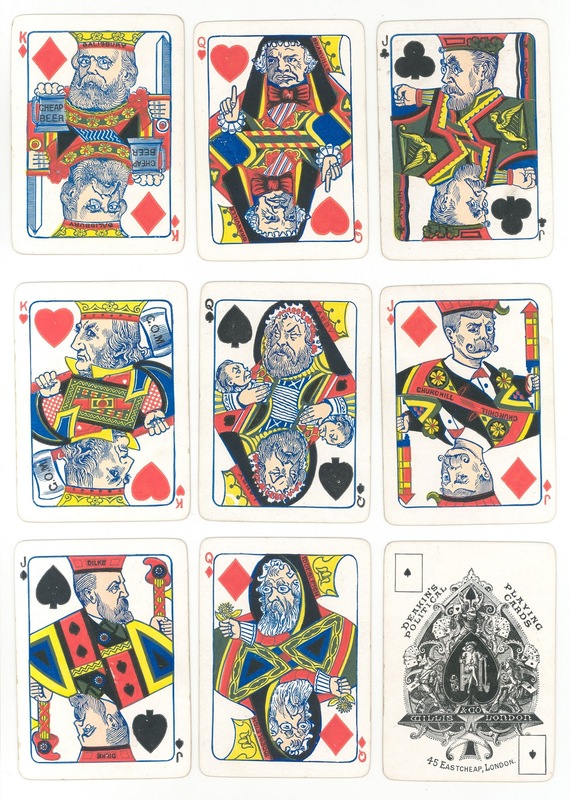 Paul Bostock and I have written an article about the collection, which appeared in a recent issue of The Playing Card (41/4). 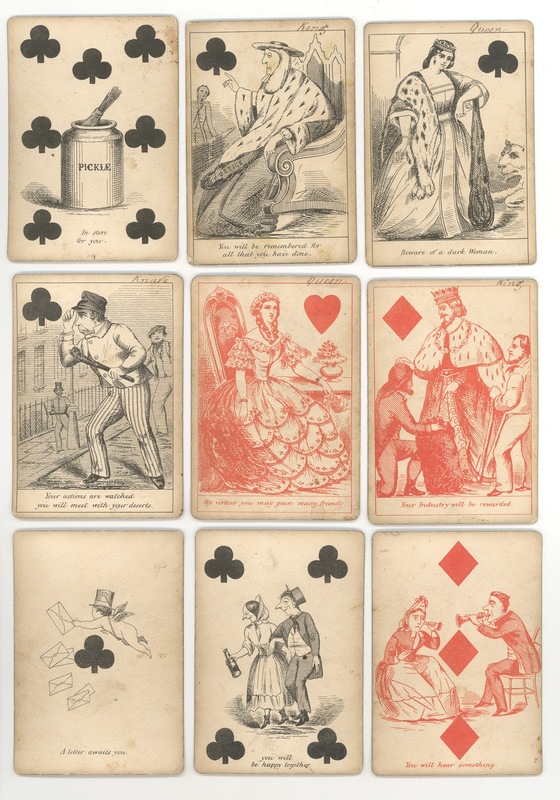 Since there wasn't enough room to illustrate all the packs in the journal, I'll put up a number of further scans of items from the collection. 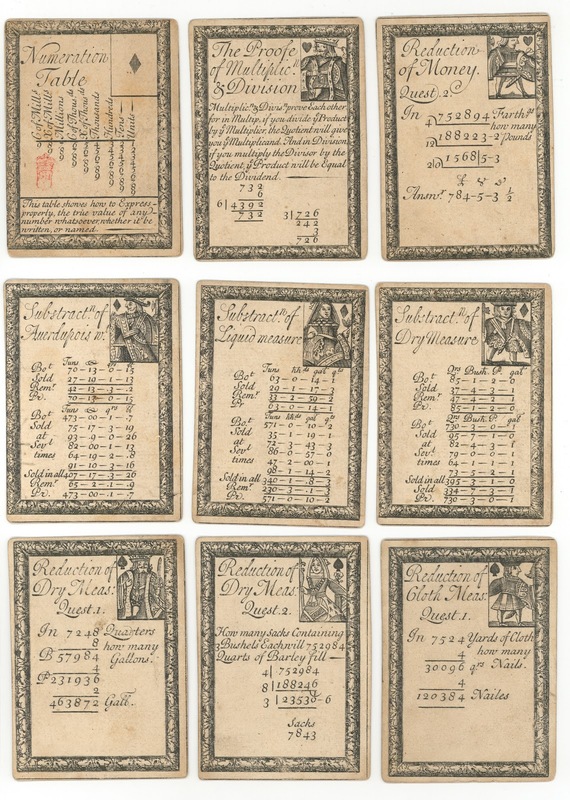 All the catalogue numbers are prefixed with NWHCM. 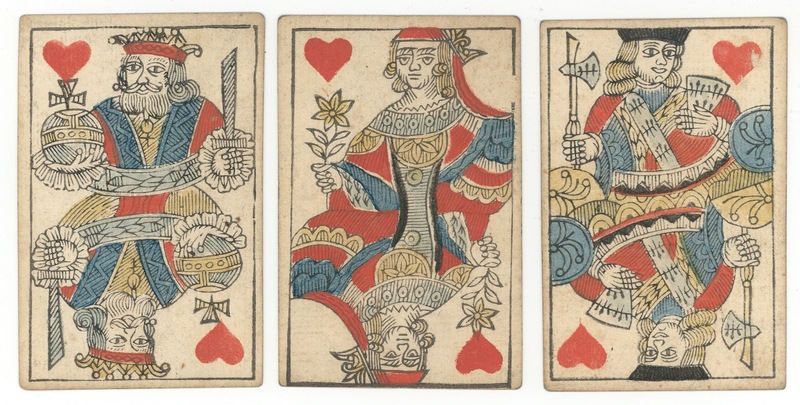 Above: 1967.762.2 Probably German. 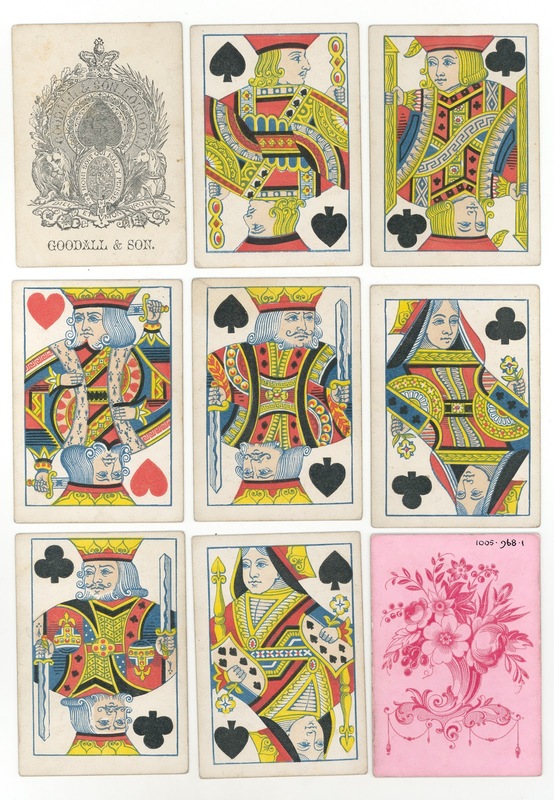 Derived from the earlier Paris pattern; note that the JD is made from a duplicate JH. 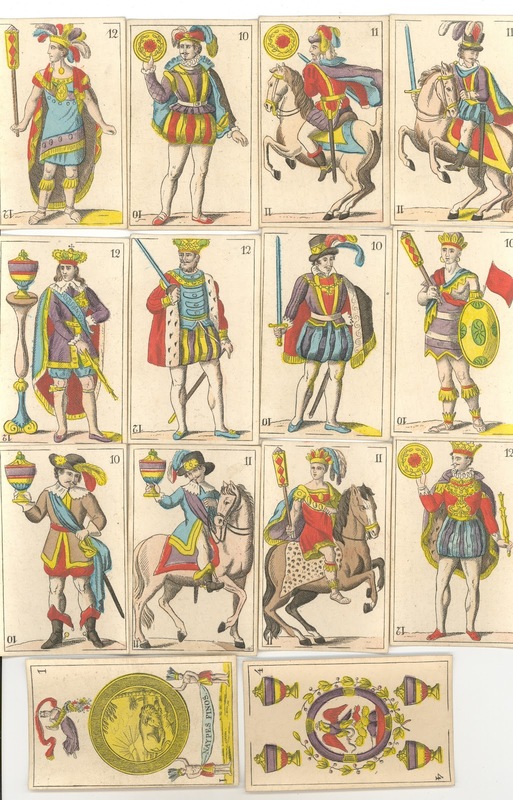 The writing says: Nave diments! 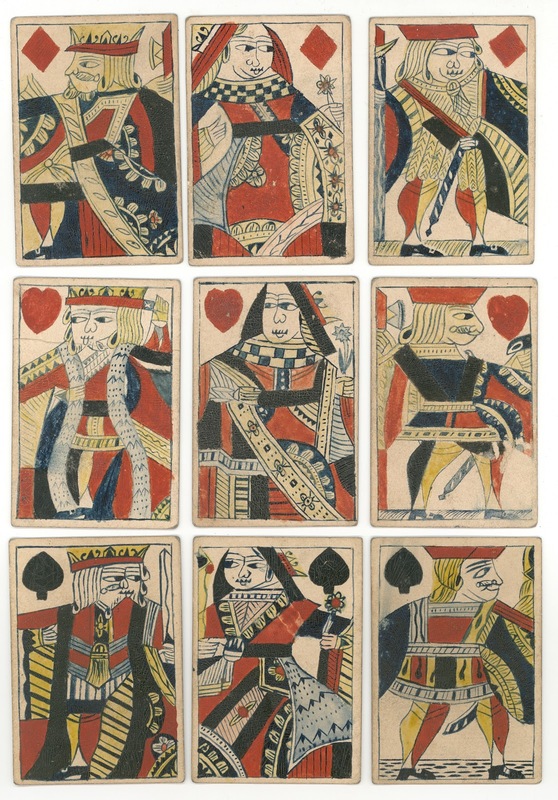 Above: 1967.762.1 Süsz & Kunz, c.1790. 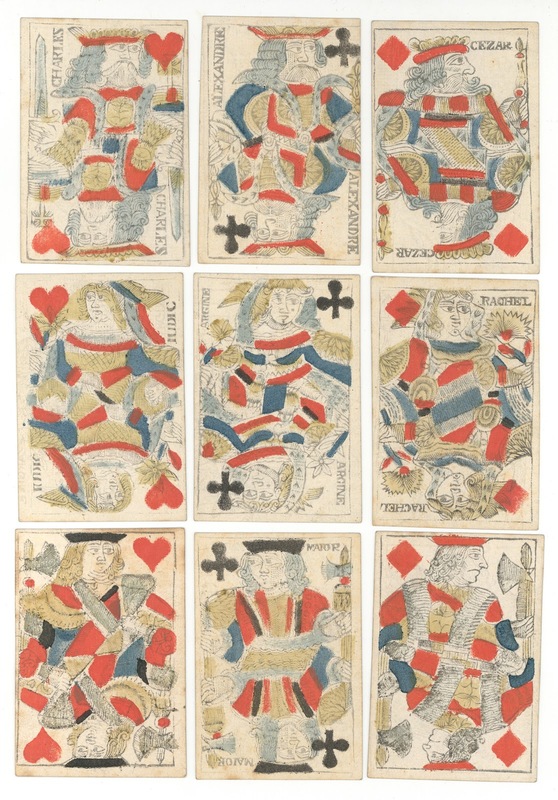 Another version of the Paris pattern; the tax stamp is Scandinavian. 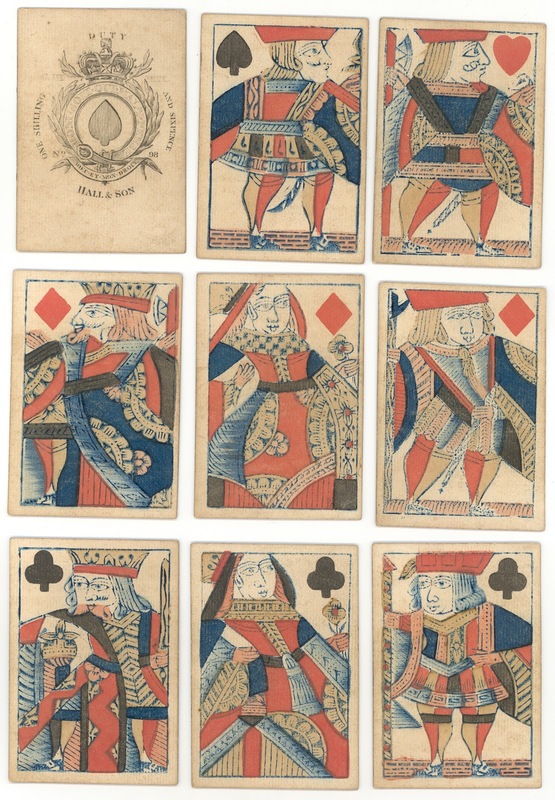 Above: 1933.154 Hand-painted pack, c.1820; how about the cross-eyed KC?! 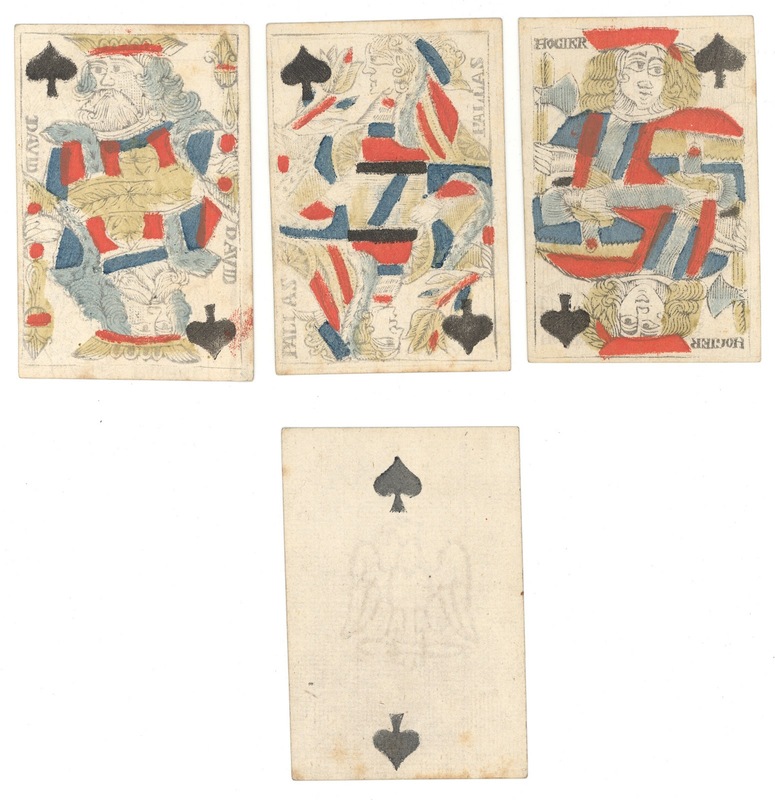 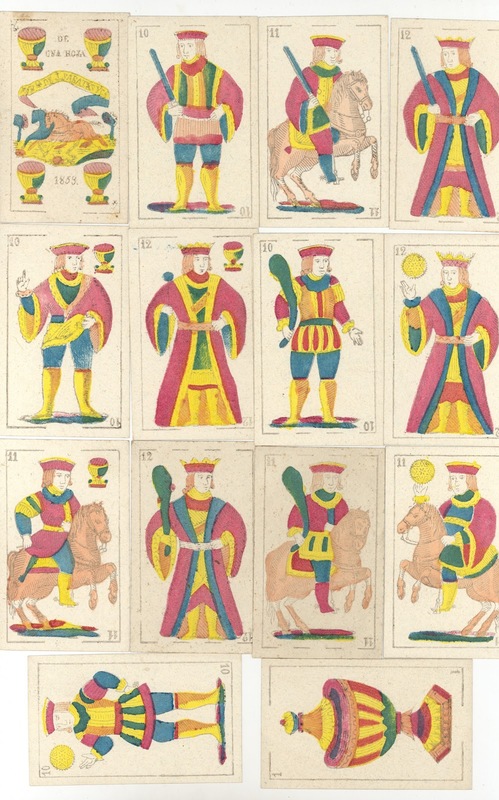 Above: 1968.979 Hand-made transformation pack, c.1875, using De La Rue standard. 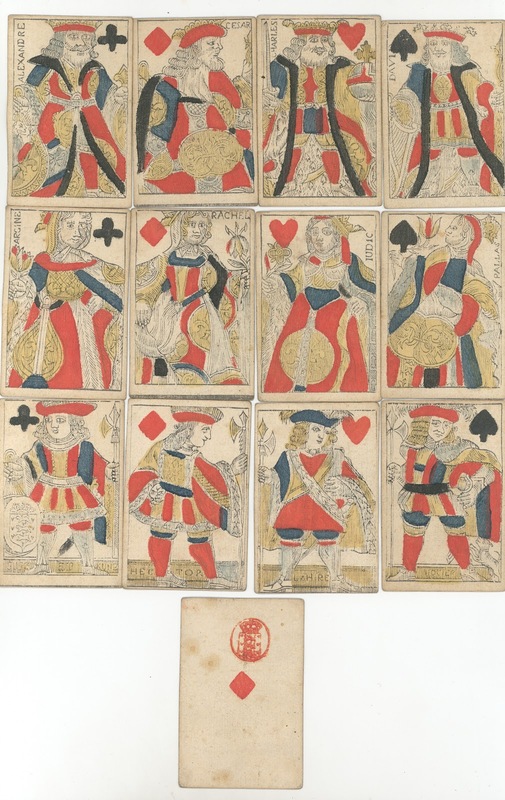 Said to have been drawn by Minna Watson, a member of the Bolingbroke family, who at one time owned Strangers’ Hall. 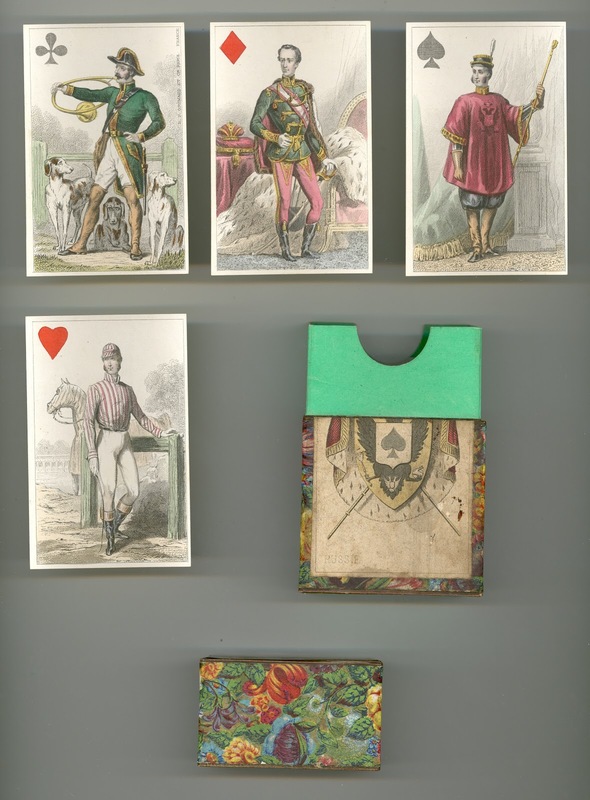 The Museum is well worth a visit. 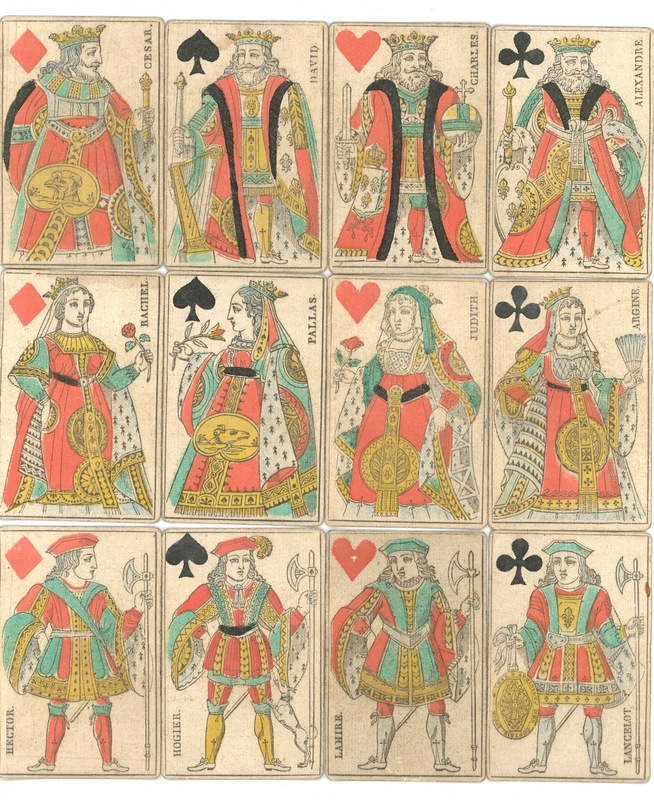 For access to the cards, contact Strangers’ Hall (01603 767138) in advance.